When the Beech BE100 King Air came out, some may have found its creation to be baffling, as it seemed to pale in comparison to its other King Air contemporaries. 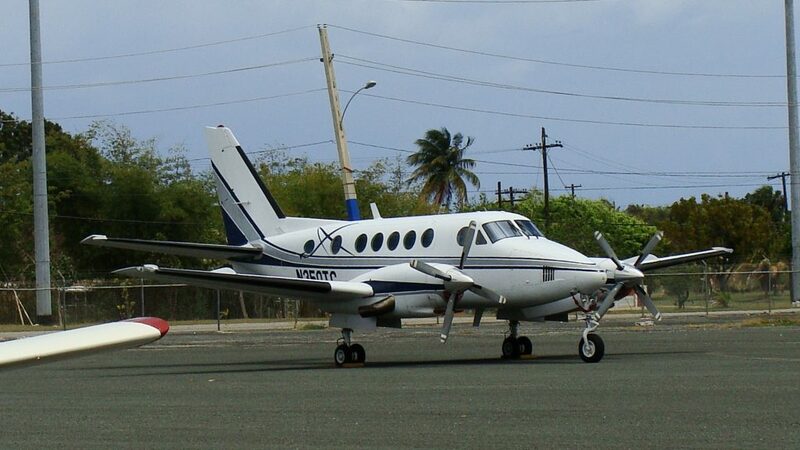 It had the same cabin design as the King Air A100, and the Super King Air 200, and arguably has similar performance stats as the others in the series. As a matter of fact, much of the reason for the BE100’s conception was mostly out of necessity—Aviation Week notes that the mid-1970 strike at Pratt & Whitney Canada had halted the delivery of PT-6A engines, which were used for Beech’s King Air series. The BE100 was then created to accommodate new engines—in this case, the Garrett TPE331-6—but upon its release, some operators noted that the twin engines weren’t as reliable as the PT-6As had been. This was further reflected in how subsequent King Air models returned to the PT-6A right after. Yet despite this, the BE100 currently enjoys a stable status, as demand for the aircraft continues to flow steadily despite its other successful counterparts. What, then, brought the BE100 from creation of necessity to the status of one of the industry’s most reliable aircraft? We look into the reasons why. The Garrett TPE331-6 engines are undoubtedly the BE100’s most defining feature, but also their biggest downfall. 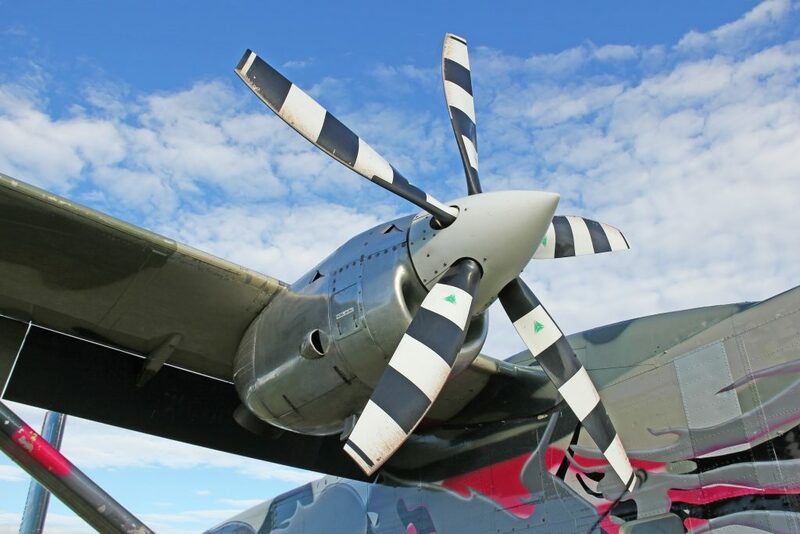 At least, initially—since the BE100’s initial debut, there had been improvements on the Garrett engines, in part thanks to the efforts of the company and its successors, AlliedSignal and Honeywell. An article by Aviation Week on the aircraft notes that some operators have gone to say that the engines nowadays don’t need too much maintenance to keep them going besides the routine cleaning, while other commercial operators are able to clear approval for 3000-hour HSIs and 6000-hour overhauls using the aircraft. With improvements to the faultiest aspect of the BE100 in place, it wasn’t a surprise to see why the aircraft began to emerge as a good flyer in the aviation industry. On the passenger side, the whole craft carries around 6-7 seats—plus potty—which can be configured according to the user’s purposes. For more utility missions, such as medical operations, one could even detach the seats to make room for supplies or stretchers. 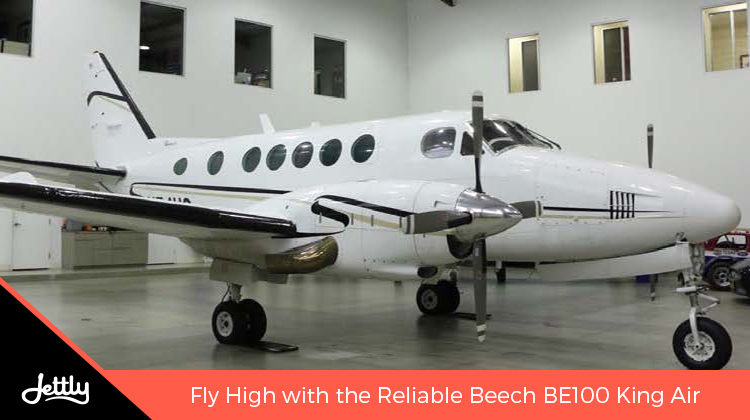 The BE100’s payload is also quite impressive, able to withstand around 4000-plus pounds; while its stabilizer—a takeaway from the Beech 99 model—gives it a “wide center of gravity loading envelope,” as reported by Aviation Week. Performance-wise, the BE100 finds itself within the average when compared to others in the King Air series. Business & Commercial Aviation notes that the aircraft, in some aspects, is quite speedier than its contemporaries; running at a 501 fpm when it comes to single engine rate of climb and having a long-range cruise speed of around 225 knots. And fortunately, you don’t have to shell out as much as you’d think for such reliability: a BE100 nowadays fetches for approximately $350,000-$750,000, depending on its condition. Despite everything, we do understand that even the cheapest private jet can be costly, no matter how valuable it is. Nonetheless, with Jettly, you can experience the perks of riding private without the steep prices or expensive commitments. Submit a flight request now.